Musical America, a publication at the forefront of classical music, has named Emory professor William Ransom, artistic director of the Emory Chamber Music Society of Atlanta, as one of the “30 Innovators of the Year” in classical music. Musical America, a publication at the forefront of classical music, has named Emory University’s William Ransom as one of the “30 Innovators of the Year” in classical music. As the artistic director of the Emory Chamber Music Society of Atlanta, now in its 24th season, Ransom oversees the presentation of more than 25 free public programs per year in a series of noontime, family and evening concerts. Several of these concerts feature the Vega String Quartet, Emory’s quartet-in-residence. This year, Ransom announced the establishment of the Rebecca Katz-Doft Chamber Music Endowment. Seeded by a $1 million matching grant from the Abraham J. and Phyllis Katz Foundation, the endowment is designed to permanently fund a string quartet in residence at Emory University. Ransom, the Mary Emerson Professor of Piano in Emory College of Arts and Sciences, is a pianist and this year released “Listening to Memories,” a solo CD featuring pieces from Bach, Chopin, Brahms and Scott Joplin. 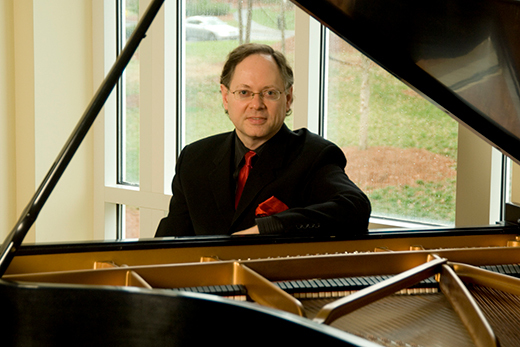 In addition to his roles at Emory, Ransom serves as the artistic director of the Highlands-Cashiers Chamber Music Festival in North Carolina. In September 2016, he was named the artistic director of the Juneau Jazz and Classics Festival in Alaska.